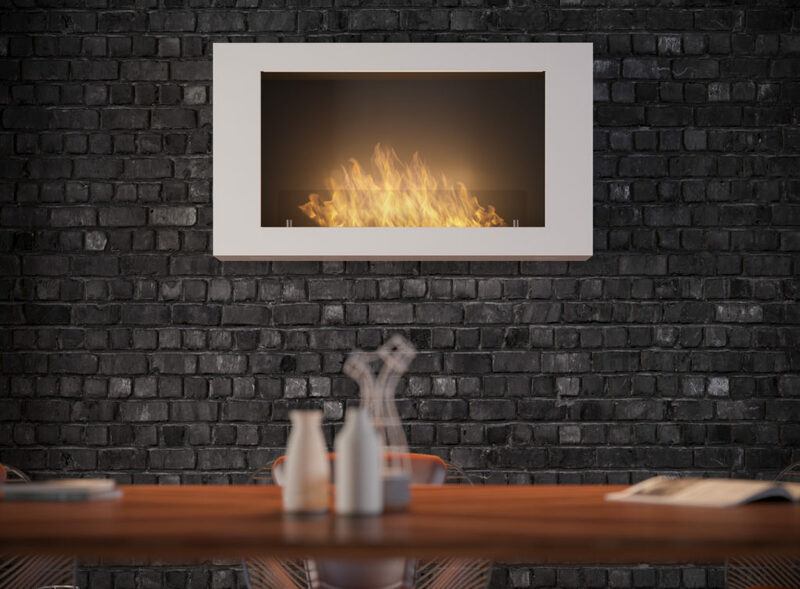 Murall model is a fireplace intended for suspending on the wall using two assembly pins. It cannot be used on walls made of chipboards, furniture slabs, gypsum plasterboards or on walls covered with wallpaper. 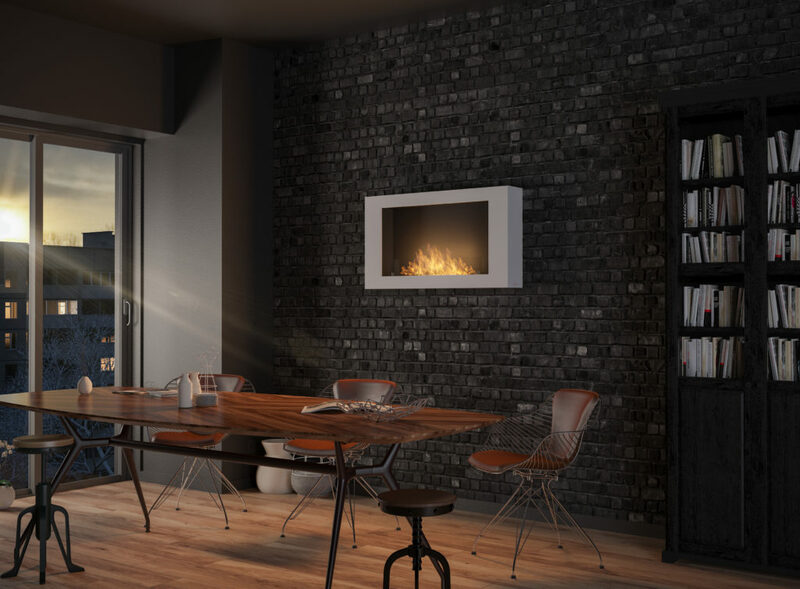 The refined form of Murall fireplace, its heat and magic atmosphere will enrich each and every space. The fireplace may be adjusted to the character of every interior due to the possibility of changing its colour scheme and fireplace sizes! 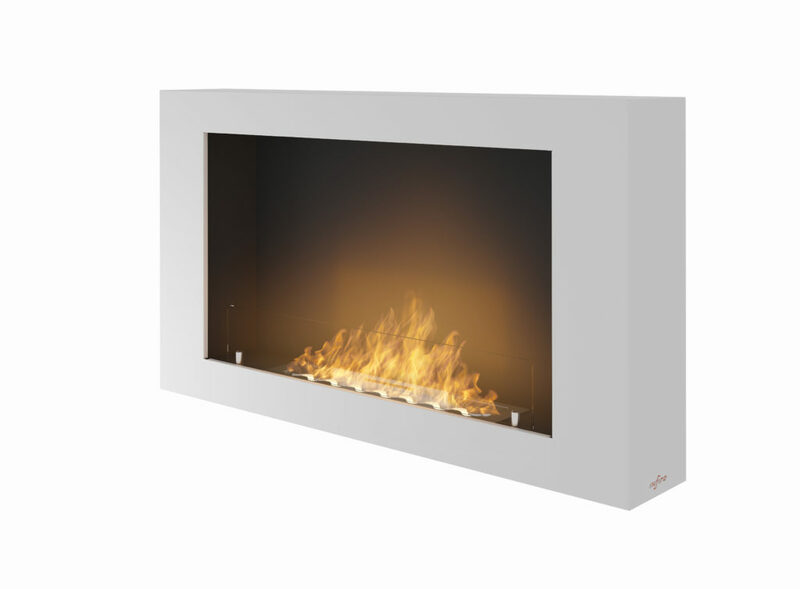 Murall model is equipped with a tinted pane inserted into the fireplace which increases the safety of use and makes the fire especially attractive. The fireplace structure, refined details and built-in side walls make the fireplace look perfect from each perspective.